Snow is a lovely white crelly green shimmer, holo and flakies. None of that really shows up on the nail very much in photos but luckily it's a problem everyone has had, not just me! You can definitely see the shimmer etc a lot more in the bottle and they're a lot more obvious on the nail in real life. The formula as usual was great and it was very easy to apply. This swatch was three coats plus Hayley's new Don't Dangle About topcoat. Charming is a gorgeous jade green with linear holo and silver flakies. 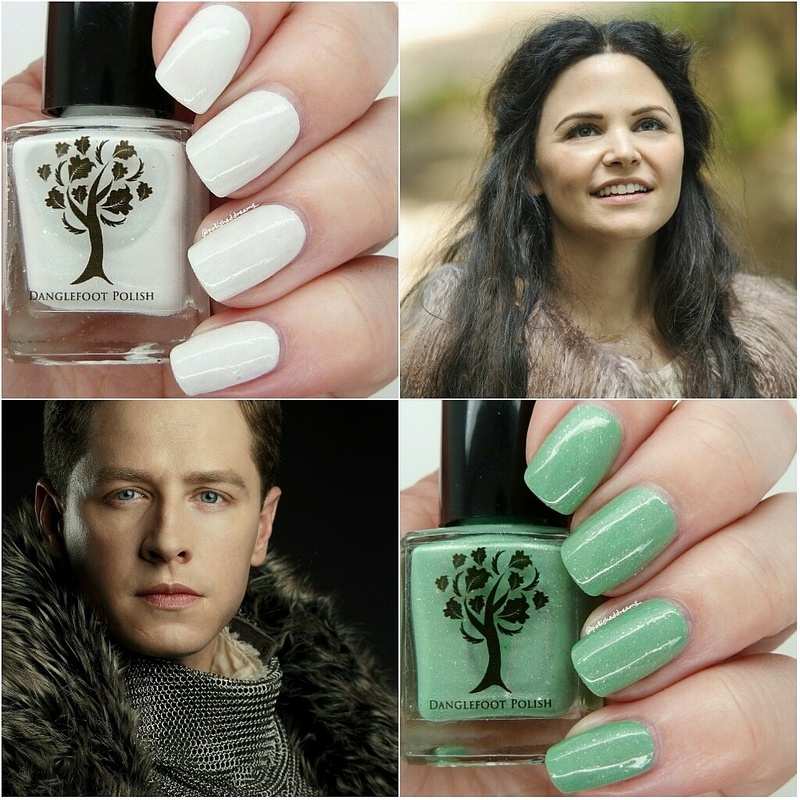 Big OUAT fans may have figured out the polish is green as Snow's ring had a peridot in it. Obviously the polish isn't exactly peridot coloured but Hayley thought this would be a more flattering green that people would like and I definitely agree. 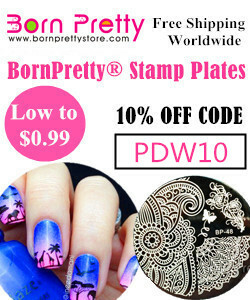 Again the formula and application on this was fab and it really is such a beautiful polish. Shown here is two coats plus topcoat. As usual, Hayley has outdone herself and created two stunning and unique polishes. Snow is a beautiful polish on its own and I'm definitely going to try and use it as a base for some nail art too. If I wear a green polish it's usually a mint colour but Charming has also really reminded me that I like actual green polishes aswell. 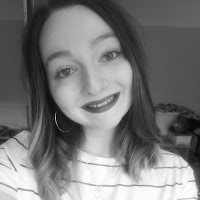 I'm already excited for the next duo although there's a bit of a wait as Danglefoot is now closed until September as Hayley's moving house. I'm obviously sad about that but I think my bank account will be pretty happy! If you want to stay updated with what's going on at Danglefoot while she's closed then I highly recommend you follow her Instagram which you can find here. Hope you enjoy what's left of the weekend!